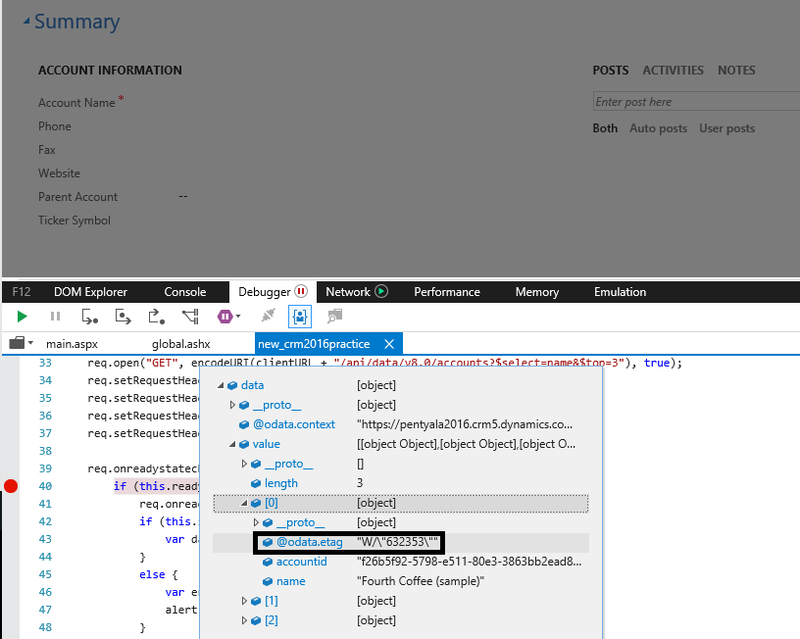 Below is the sample script to retrieve an Account record using Web API. ‘Status’ code would be 200. Each time when we retrieve a record, it will include a @odata.etag field. We don’t need to include it in a $select system query option. The value of this property is updated each time the entity is updated. This will be used while performing optimistic concurrency to detect whether an entity has been modified since it was last retrieved.